SINGAPORE, Apr 8, 2015 - (ACN Newswire) - Social media has become an even bigger part of consumers' lives in today's hyper-connected world. Users are finding more ways to play, interact, work and even monetise content through social media. Asia Pacific, presently the world's largest mobile region, accounts for over half of the globe's social media users. The social media explosion has not only changed the lives of hyper-connected consumers, it has also caused a rippling effect throughout its ecosystem - businesses, network infrastructure, communication providers and more. Businesses now face challenges of providing adequate and fast connectivity to support the exponential usage growth, and the need to rethink strategies to meet current media consumption and engagement patterns. The need to acquire a keen understanding of social media trends, the opportunities and challenges of engagement, innovative ways to monetise has never been more imperative. The visionary address and plenary sessions to be held alongside CommunicAsia2015 and BroadcastAsia2015 from 2 - 5 June 2015 at Marina Bay Sands, Singapore, will bring to life social media trends, opportunities and challenges of engagement, monetisation and more, across the entire ecosystem. The world's largest professional networking site on the Internet, LinkedIn has over 347 million users in over 200 countries and territories globally. Hari Krishnan, LinkedIn's Managing Director for Asia Pacific and Japan, will deliver a visionary address at CommunicAsia2015 Summit and BroadcastAsia2015 International Conference on 3rd June, titled "How Social Media is Changing the Way People Work and Play". 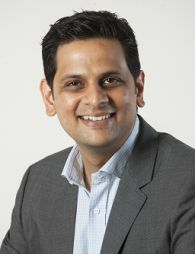 Having led hyper-growth Internet companies in the region and leadership positions in companies including Yahoo!, Cisco Systems and Fox Interactive Media, Krishnan now leads the Asia Pacific business with the aim to connect all professionals to help make them more productive and successful. At the visionary address, Krishnan will share insights on how social media consumption is changing in the region, the opportunities and challenges these changes present to consumers and businesses alike. ICT industry stakeholders can also look for indicators from Krishnan and other plenary speakers' addresses about how digital convergence and the data analytics-led commercial decision making will have a positive impact on the regional economy. More than 150 C-level executives will deliver key updates and share case studies on a wide range of the latest trends and technology advancements, such as Over-the-Top (OTT), Internet of Things (IoT), enterprise mobility, Bring Your Own Device (BYOD), Ultra-High Definition (UHD)/4K, multi-screen broadcasting and many more.